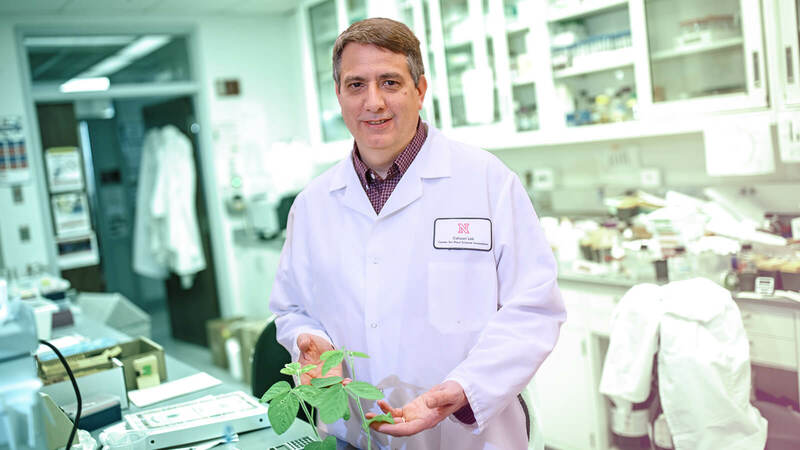 Dr. Cahoon and his team conduct research to understand the biosynthesis of a variety of lipidic compounds in plants, including vegetable oils and lipid soluble vitamins and antioxidants. They aim to modify or transfer the production of these compounds to crop plants, such as soybean and cassava, through biotechnology. The Cahoon Lab also conducts studies on sphingolipid metabolism and function in plant membranes and signaling pathways. In addition, researchers work toward developing the emerging oilseed crop camelina as a metabolic engineering production platform for biofuels, lubricants and other industrial materials. This research has impact in the areas of biofuels, nutritional biofortification and improvement of crop productivity and quality.